An assortment of organic vegetables are seen on display. A growing body of evidence documents how farming methods can influence the nutritional content of foods. It&apos;s often a split-second decision. You&apos;re in the produce aisle, and those organic apples on display look nice. You like the idea of organic — but they&apos;re a few bucks extra. Ditto for the organic milk and meat. Do you splurge? Or do you ask yourself: What am I really getting from organic? Scientists have been trying to answer this question. And the results of a huge new meta-analysis published this week in the British Journal of Nutrition adds to the evidence that organic production can boost key nutrients in foods. The study finds that organic dairy and meat contain about 50 percent more omega-3 fatty acids. The increase is the result of animals foraging on grasses rich in omega-3s, which then end up in dairy and meats. The findings are based on data pooled from more than 200 studies, and research in the U.S. has pointed to similar benefits. "Omega-3s are linked to reductions in cardiovascular disease, improved neurological development and function, and better immune function," writes study co-author Chris Seal, a professor of food and human nutrition at Newcastle University in the U.K. "So we think it&apos;s important for nutrition," Seal told us. That said, organic meat and dairy contain far lower concentrations of omega-3s than what are found in fish such as salmon. The findings are part of a growing body of evidence documenting how farming methods can influence the nutritional content of foods. For instance, organic crops had about 50 percent more anthocyanins and flavonols compared with conventional crops. Anthocyanins are compounds that give fruits and vegetables, such as blueberries, their blue, purple and red hues. So, what explains these boosts in antioxidant and other beneficial compounds in organic crops? Well, as Seal explains, it comes down to stress. Organic crops tend to be exposed to higher levels of stress — including insect attacks, Seal says. And in response, they form compounds to help combat the stress. For example, if a carrot fly lands on a carrot and starts to chew on it, what options does the plant have? If it&apos;s a conventionally grown carrot, a pesticide can be applied to repel the pest. But in organic agriculture, that carrot has to fend for itself a bit more. So, Seal explains, the carrot produces compounds known as polyacetylenes, which taste bitter to the carrot fly. These polyacetylene compounds may help drive the fly away — and, serendipitously, this compound may benefit us as well. Research in animals suggests polyacetylene compounds may play a role in reducing inflammation and cancer risk, but it&apos;s unclear how much must be eaten to benefit human health. Current research aims to address this question, but the answer is difficult to suss out, given that our diets are so complex and our bodies may not absorb all the nutrients we eat. In fact, broadly speaking, this is the challenge in trying to isolate the benefits of micronutrients in our diet. Another difference between organic and conventional crops is the way plants get nitrogen. Conventional crops are given steady doses of nitrogen from synthetic fertilizer. In organic systems, which rely heavily on crop rotation and composting, there&apos;s typically less nitrogen available. As a result, organic crops tend to grow more slowly, and produce more of what scientists call secondary plant metabolites. These compounds also may be health-promoting when we eat them. A study of tomatoes conducted at the University of California, Davis back in 2008found that organic tomatoes have almost double the concentration of a beneficial flavonoid known as quercetin, compared with conventional tomatoes grown on an adjacent field. The 2014 meta-analysis in the British Journal of Nutrition pointed to other differences in organic crops as well, including lower levels of pesticide residues on produce and lower concentrations of the metal cadmium, which is naturally occurring in soil. And these findings — according to Carlo Leifert, a professor of agriculture at Newcastle and co-author of the latest study — suggest there are indeed benefits to buying and eating organic. "Taken together, the studies on crops, meat and milk suggest that a switch to organic fruit, vegetables, meat and dairy products would provide significantly higher amounts of dietary antioxidants and omega-3 fatty acids," Leifert wrote in a release about the new papers. But plenty of skeptics remain. "Such small changes are unlikely to represent any nutritional or health benefit," writes Ian Givens, a professor of nutrition at the University of Reading. 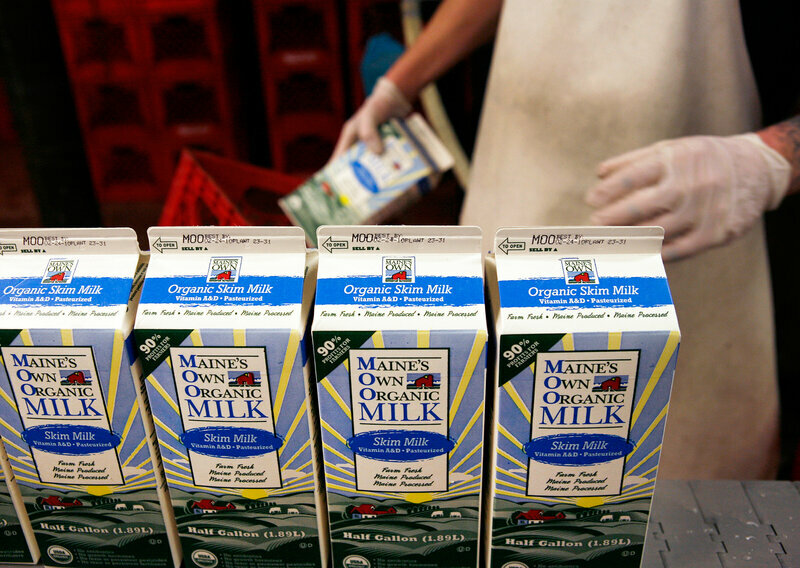 In a statement on the new findings, Givens points out that switching from conventional milk to organic milk would increase omega-3 intake by only very small margins. And an analysis by researchers at Stanford University published several years ago concluded there was no good evidence that organic fruits and vegetables were more nutritious overall. There are echoes of this finding in the newer meta-analysis studies. Although organic crops had higher levels of antioxidants, they did not consistently contain higher levels of vitamins. For instance, as we&apos;ve reported, vitamin E levels didn&apos;t vary much between organic and conventional crops. And protein levels were lower in organic crops such as wheat. And at a time when most Americans don&apos;t eat the recommended servings of fruits and vegetables, perhaps the more important step is to add them to your diet — no matter what farming methods were used to grow them. But if you like the environmental benefits of organic agriculture, these studies point to potential nutritional benefits as well, at least when it comes to maximizing the antioxidants and micronutrients you get from foods.